Vitamin A & D. Grade A. Pasteurized. 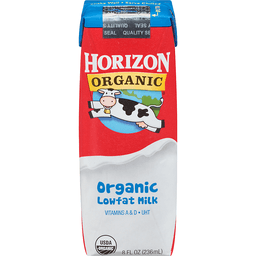 Homogenized. Questions or comments? 1-800-395-7004. 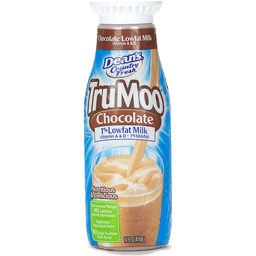 TruMoo® Chocolate 1% Lowfat Milk. Vitamin A & D. Nutritious & delicious. 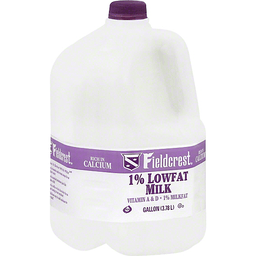 1% Milkfat. 2.5g Fat per 8 fl oz serving. Our farmers pledge - No artificial growth hormones*. Fresh from your trusted dairy. No high fructose corn syrup. 240 Calories per serving. 14 fl oz (414 ml). Grade A. Pasteurized. Homogenized. No GMO ingredients†. †No ingredient is a bio-engineered (GMO) food as defined by law. 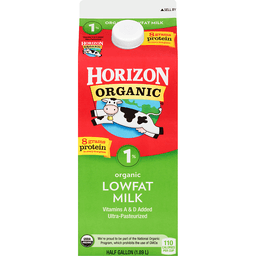 *No significant difference has been shown in milk from cows treated with the artificial growth hormone rBST and non rBST treated cows. Please remove label before recycling bottle. Comments 1-800-395-7004. Vitamin A & D. Grade A. Pasteurized. Homogenized. Gluten free. Happy holidays! Our farmers pledge no artificial growth hormones (No significant difference has been shown in milk from cows treated with the artificial growth hormone rbST and non rbST treated cows). Backed by our five point purity promise. 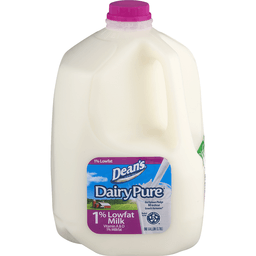 $1.00 off any half gallon of McArthur Egg Nog. See back for details. 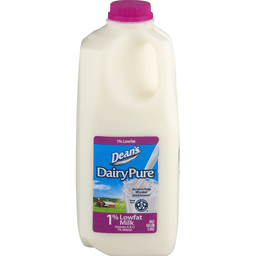 www.dairypure.com. Comments? 1-800-395-7004.